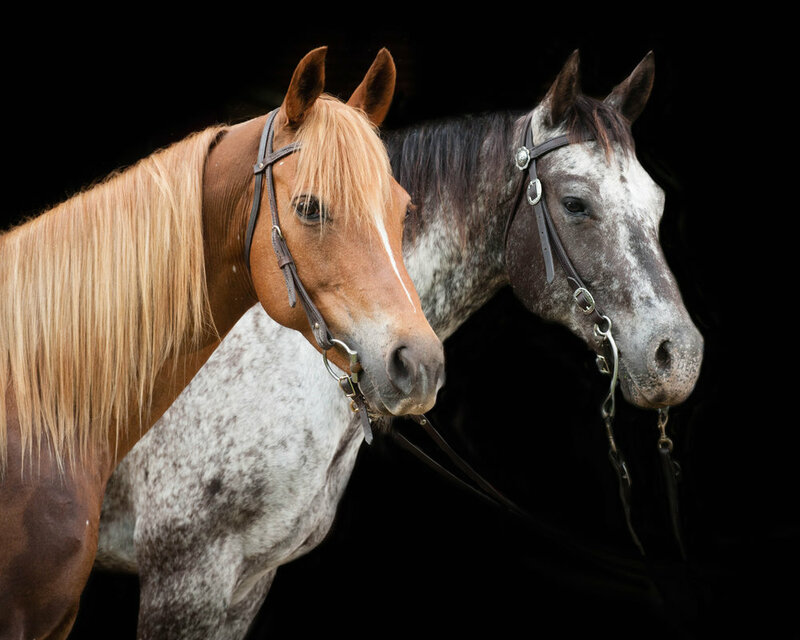 The BLACK BACKGROUND EQUINE PORTRAIT SESSION includes half an Hours of personalized photographic service. We come to you and make images of your horse in a variety of poses to your horse looks amazing. We do request a trainer and/or yourself be there to assist throughout the session. In two weeks we will have your images ready to view at our studio or your home where we will walk you through the placing of your order and selecting 7 - 4x5 proofs & online gallery.